Exactly 2 years at Stellenbosch University in South Africa, Zaharan Hussein successfully graduated from the Master’s Degree with distinction, an academic and professional achievement that has developed his robust interest in postharvest technology research and consultancy. In addition, this achievement has a direct link on his current career as the Assistant Lecturer and Researcher both to the university where he works. Hussein was awarded a prestigious and competitive 2 year scholarship by the Innovative Agricultural Research initiative (iAGRI) administered by RUFORUM. This award enabled him to pursue an MSc in Food Science (majoring in postharvest technology) at Stellenbosch University, in South Africa. During the first year of his MSc studies, Zaharan won the bronze award of the 2013 Institute of Packaging of South Africa (IPSA) student gold pack competition by proposing and constructing a model of modified atmosphere packaging (MAP) of fresh pomegranate arils. This is a component that came from his MSc research studies. 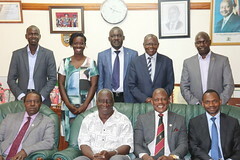 The competition is usually open to any registered tertiary education student; in particular in the three disciplines of Packaging Technology, Graphic Design and Food Science and Technology. It provides students with a unique opportunity to demonstrate their excellence and creativity in developing packaging solutions and concepts. In addition to this award Zaharan’s proposed package was recognized as judges’ special mention for excellence in MAP packaging research and application. This packaging competition brings together a unique blend of materials, technology, design, and marketing, by participating and winning this award, Zaharan was able to gain wider insight into the interesting world of packaging and become more confident that he has become part of the permanent solution to the huge existing challenge of food packaging industry in Tanzania. The experience Zaharan obtained during the competition has been integrated into the recommendations for further uptake by stakeholders interested in value addition sub components. Through the Field Attachment Program Award (FAPA) window, administered through RUFORUM, Zaharan is able to integrate his MSc thesis recommendation into dissemination packages which he is using to share technical messages to various institutions including the Marketing Infrastructure, Value Addition and Rural Finance (MVARF) Support Programme, a project co-funded by the government of Tanzania. Zaharan finds FAPA an enabling mechanism to contribute to efforts of reducing rural poverty through the technical expertise he is offering to MIVARF, especially in the areas of postharvest handling and value addition. 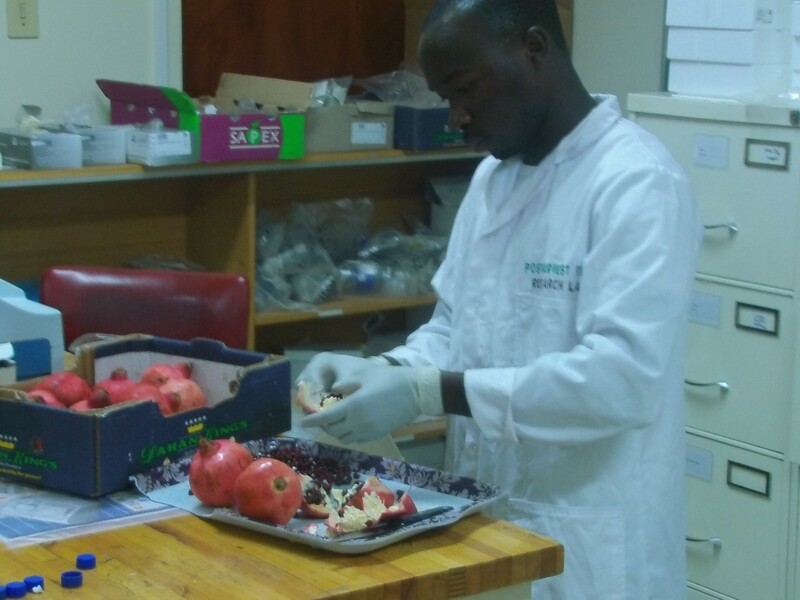 As a result of exceptional academic performance, IAGRI through RUFORUM has continued to support Zaharan Hussein with a full scholarship to pursue PhD in Food Science at Stellenbosch University expected to start in July, 2015. The PhD research will focus on investigating the impact of mechanical damage on the postharvest quality of fruits, which is another area of huge interest in the horticultural industry. To contact Zaharan, you can email him at zeddymgina@yahoo.com or zedymgina@gmail.com.